Lori has been Bethel's Church Secretary for many years as well as having been involved at Bethel since she was a very young child. She is a real wealth of knowledge when it comes to things concerning the church. 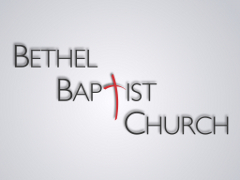 If you need any information concerning Bethel, please feel free to call Lori using the church info. Copyright 2007-2015 bethelstcatharines.com. All Rights Reserved. Questions? Comments? Please let us know what you think.